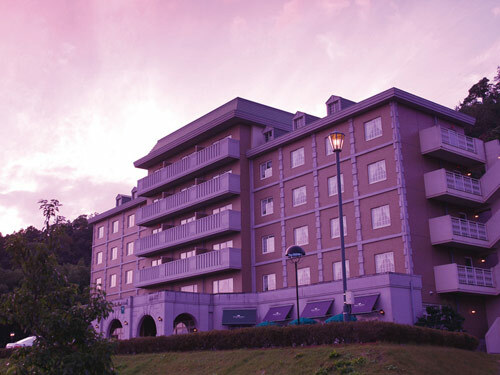 The Hashidate Bay Hotel is a European-style resort hotel situated on a heights overlooking Amanohashidate, one of the three most famous scenic places in Japan. It proudly serves original French cuisine made from homegrown herbs and seasonal delicacies that are locally cultivated in Tango. The scent of herbs wafts through the hotel. Herbs that are cultivated are distributed to each room as either sleeping bag or bathing agents. Guests can try out herb goods, undergo guest room beauty treatments, or peruse a library of illustrated books from around the world. 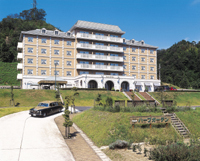 Located next door is Kurhaus Iwataki, an onsen facility. This hotel is perfect for travelers looking for a place to stay when they come to enjoy the nearby beaches during the summer months. 15 minutes by bus from Amano Hashidate station bound for Ine, get off at at Higashi-cho, 5 minutes walk. 10 minutes by car from Amano Hashidate station. Shuttle available from Amano Hashidate station. Reservations required.